I’ve spoken quite a bit about how much I love my writing community. They’ve been so much more to me than colleagues. They’re true friends, my champions—they’re warriors—and I am theirs. I’ve found much of my community the same way the other Debs mentioned: conferences, writing groups, going to writing events, lending a hand whenever I possibly can. Rather than repeating the Debs’ pearls of wisdom, I thought I would focus on the single aspect that has helped me connect with my community more than any other: social media. FACEBOOK: Do I even need to type this here? You’d be surprised. People love to bash Facebook these days because it’s the cool thing to do. But I’ve made wonderful friends through the myriad of writer groups on this site. The way the platform is set up really allows you to develop deeper relationships than any other platform. Use it. It works. Trust me. TRIBERR: This site is like one giant blog feed. People form tribes and then “share” each other’s blog posts. In essence, it creates a marketing swat team. Right now on Triberr, my reach is to 117,000 people. Mind-blowing, right? BLOG HOPS: This is not only effective, it’s a really fun way of connecting with other readers and writers. If you can’t find one to participate in (often they gravitate around holidays or big events), create your own. TWITTER: More specifically, follow hashtags. #MondayBlogs is a terrific way to meet people AND grow your blog readership. Another idea is to create your own hashtag and use it regularly. If not daily, weekly. Choose a scheduled time so you can develop a following. GROUP BLOGS: Like this one! Apply to join a group blog or create your own. What happens there is that whole marketing swat team thing I mentioned before. You bring your people and your fellow bloggers bring theirs. Next thing you know, your audience has exploded. 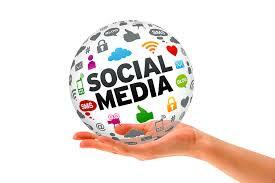 What is your favorite social media outlet and why? I’ve never heard of Triberr either! I need to get my arse in gear with all this stuff…sigh…I’m glad you’re on my team, Heather!